Failure to win the $3 billion Offshore Patrol Vessel contract could be disastrous for one of Australia’s largest defence companies. Henderson-based Austal said failure to secure the SEA 1180 program, which "represents the single most important program for the Henderson shipyard operations in Australia" because of its size and duration, could spell the end for its shipyard operations in Henderson. The project will see the successful contender – Damen, Lürssen or AustalFassmer – construct two of the 12 vessels in South Australia and the remaining 10 in Western Australia. "Failure to win the contract will seriously impede the future viability of the Australian operations and could lead to partial or full closure of the Henderson shipyard operations when current contracts come to an end," the company's corporate governance statement reads. While this statement falls under Austal's risk review section, which forms part of the board's corporate strategy development, the stakes for Australian companies winning Defence's naval contracts is certainly highlighted. The federal government is currently under fire in the Senate for failing to mandate the use of an Australian workforce on the $35 billion Future Frigates project. The leaked request for tender documents for the project reveal Defence specifically make mention of ASC Shipbuilding. 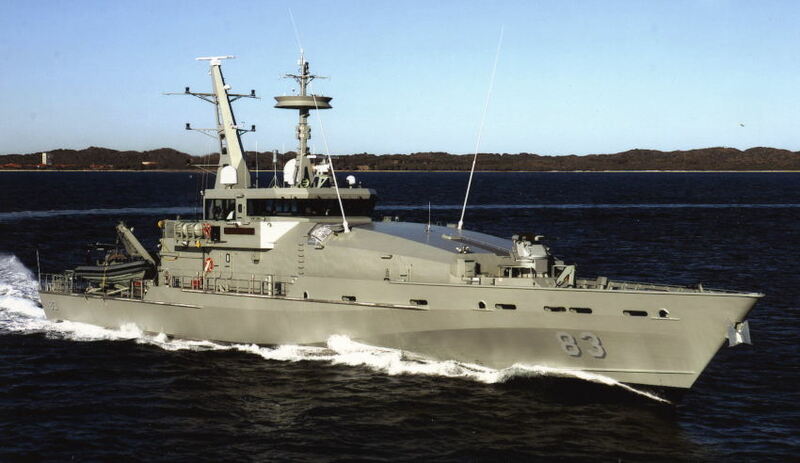 "In particular, the Commonwealth is not mandating that the successful tenderer use the workforce of ASC Shipbuilding Pty Ltd currently working on the AWD Program," the document reads. While Austal currently has several projects underway at its Henderson shipyard, including two major support programs for the Armidale Patrol vessels and Cape Class vessels, along with the passenger ferry for Mols Linien A/S of Denmark, ASC Shipbuilding has no projects on the books beyond 2019. ASC Shipbuilding has teamed with both Damen and Lürssen, which are both competing for the OPV project. Austal and ASC Shipbuilding in June also teamed up to pool their skills, resources and workforces in support of the Future Frigates project for the successful tenderer, but their assistance on the project is looking increasingly unlikely. At a Senate committee hearing, senator Kim Carr presented claims that Capability Acquisition and Sustainment Group (CASG) deputy secretary Kim Gillis and other CASG representatives spoke with all three international tenders and told them to ignore Austal and ASC Shipbuilding's teaming arrangement to act as builders on the project.